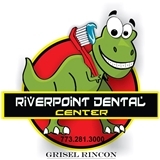 Riverpoint Dental Center (Chicago) - Book Appointment Online! I've been going to this dentist for a while. I can't imagine anyone else doing my teeth. She is familiar with me. Her staff knows my name. And I trust them completely. They are very comforting.